Freddie Mac (OTCQB: FMCC) today released the results of its Primary Mortgage Market Survey® (PMMS®), showing that the average 30-year fixed-rate mortgage dropped 22 basis points. 30-year fixed-rate mortgage (FRM) averaged 4.06 percent with an average 0.5 point for the week ending March 28, 2019, down from last week when it averaged 4.28 percent. A year ago at this time, the 30-year FRM averaged 4.40 percent. 15-year FRM this week averaged 3.57 percent with an average 0.4 point, down from last week when it averaged 3.71 percent. A year ago at this time, the 15-year FRM averaged 3.90 percent. 5-year Treasury-indexed hybrid adjustable-rate mortgage (ARM) averaged 3.75 percent with an average 0.3 point, down from last week when it averaged 3.84 percent. A year ago at this time, the 5-year ARM averaged 3.66 percent. 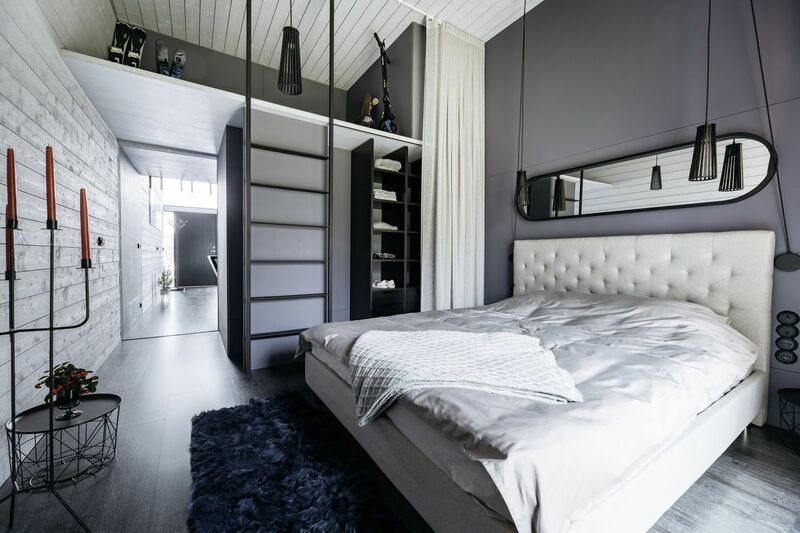 This entry was posted in blog and tagged Cross River Luxury Real Estate, Cross River NY Homes, Cross River NY Real Estate on March 30, 2019 by Robert Paul. News Facts30-year fixed-rate mortgage (FRM) averaged 4.28 percent with an average 0.4 point for the week ending March 21, 2019, down from last week when it averaged 4.31 percent. A year ago at this time, the 30-year FRM averaged 4.45 percent. 15-year FRM this week averaged 3.71 percent with an average 0.4 point, down from last week when it averaged 3.76 percent. A year ago at this time, the 15-year FRM averaged 3.91 percent. 5-year Treasury-indexed hybrid adjustable-rate mortgage (ARM) averaged 3.84 percent with an average 0.3 point, unchanged from last week. A year ago at this time, the 5-year ARM averaged 3.68 percent.Average commitment rates should be reported along with average fees and points to reflect the total upfront cost of obtaining the mortgage. Visit the following link for the Definitions. Borrowers may still pay closing costs which are not included in the survey.Freddie Mac makes home possible for millions of families and individuals by providing mortgage capital to lenders. Since our creation by Congress in 1970, we’ve made housing more accessible and affordable for homebuyers and renters in communities nationwide. We are building a better housing finance system for homebuyers, renters, lenders, investors and taxpayers. Learn more at FreddieMac.com, Twitter @FreddieMac and Freddie Mac’s blog FreddieMac.com/blog. This entry was posted in Lewisboro, Mount Kisco and tagged Katonah Homes for Sale, Katonah NY Homes, Mortgage rates on March 28, 2019 by Robert Paul. We’re not trying to fool anyone — especially for something as serious as having smoke detectors. This coming April 1 is the day a new law goes into effect that bans the sale or installation of any smoke detecting device that has a battery that can be replaced or removed. The law states that, as of April 1, any new or replacement smoke detectors in the state have to powered by a non-removable battery that lasts for at least 10 years, or it must be hardwired to the home’s electricity, localsyr.com said. New smoke detecting units have a sealed lithium battery that people cannot take out. The upgraded smoke detectors cost more than the ones you may still have in your home, but you will no longer need to spring for new batteries, making them likely cheaper over the long run, news10.com said. The New York State Association of Realtors, Inc., noted that the law does not require smoke detectors that are already in use to be in compliance, just ones that are being newly installed or replaced. The New York State Association of Fire Chiefs said all smoke detectorsthat are more than 10 years old should be replaced, even if you think it’s still working. Besides testing them on a regular basis, the alarms need to be cleaned to remove any dust, cobwebs, pet fur or other substances that may have made their way into the unit. Cleaning could be as simple as using a hair dryer to blow air at the smoke alarm for a few seconds to get rid of any debris. If you are concerned about the cost of the new smoke detectors, the Red Cross is giving some away for free as part of the Sound the Alarm program. There will be a mega-install day in Yonkers in Westchester County May 11, according to a Red Cross spokeswoman. To have a smoke detector installed, people can call 845-673-1198 to schedule an appointment or visit www.soundthealarm.org/mnyn and fill out the online form. This entry was posted in Bedford Hills and tagged Bedford Hills NY Homes, Bedford Hills NY Real Estate, Smoke detector on March 24, 2019 by Robert Paul. In my three decades of work with the federal government, including my time in the White House, I kept running into the same three challenges. Our path to a new federal infrastructure policy is blocked by irrational expectations around limited funding, a failure to appreciate the diversity of needs, and misaligned incentives. Our path to a new federal infrastructure policy is blocked by irrational expectations around limited funding, a failure to appreciate the diversity of needs, and misaligned incentives. Regretfully, federal funding is a zero-sum exercise. Federal funds for infrastructure come from individuals and companies in communities. If one community receives excess federal funding, then other communities are receiving less. Notwithstanding strong desires to the contrary, the same taxpayers contributing federal dollars are also those paying into state and local coffers. Infrastructure commentators frequently note that state and local governments cannot afford to pay for all of their infrastructure needs, so the federal government should help. Sure, the federal government can take revenues from another location or borrow against the future, but the net effect is either zero today or long-run borrowing costs. Irrational expectations make it difficult to have reasoned policy conversations. My son used to tutor math, and one of his more creative students tried to dismiss poor test performance by declaring, “math lies.” Similarly, many shaping infrastructure policy are trying to utilize aspirational infrastructure investment math by pursuing a fantasy that federal funds can be spent on infrastructure without imposing a burden on state and local taxpayers. The inaccurate perception of the possibility of “free” federal investment leads to unattainable expectations. While policymakers are struggling with infrastructure math, they are also facing a marvelously diverse set of infrastructure needs. When the federal government first seriously jumped into infrastructure investment, our needs as a nation were more clearly defined. For example, we needed a network of highways to connect the continent. The 1956 Highway Act addressed that need by imposing a national tax and providing a national benefit. Fast forward six decades and our nation’s needs are vastly more diverse. In the 1950s and 1960s, the challenges were connectivity; today, it is safety, congestion, older pipes, functional bandwidth, and environmental impact. The locus of the need has also changed. The infrastructure needs of the last century were largely national in nature; today our needs are mostly local. While the federal government excelled in delivering the Interstate System, it is not well positioned to help with the broad diversity of infrastructure issues vexing our communities in the 21st century. While the federal government excelled in delivering the Interstate System, it is not well positioned to help with the broad diversity of infrastructure issues vexing our communities in the 21st century. Our country’s diversity of needs is amplified by diversity of ownership. Unlike many countries, most infrastructure in the U.S. is owned at the state and local level. Given the nomenclature, many Americans think the federal government owns the Interstates and the rest of the Federal Highway System, but those highways are all owned by state and local governments. Water systems are almost all locally-owned, resulting in Americans receiving water from over 51,000 community water systems. As we move further into the 21st century, our infrastructure needs will be increasingly defined by our 89,004 local governments, not by one federal government. The third and final challenge to improving the federal role in our nation’s infrastructure is the most daunting. Federal involvement in funding state- and locally-owned infrastructure suppresses investment and encourages delay. Three-quarters of infrastructure investment is made at the state and local level, yet the remote possibility of federal funding encourages governors, mayors, and county executives to postpone increasing infrastructure investment in the hope their projects will receive federal funds. This dynamic is akin to telling shoppers there is a small likelihood they will receive a coupon for 80 percent off their next suit purchase. Consumers will rationally engage in what economists call strategic delay and postpone their purchase in the hope of receiving a coupon. Many will continue to delay until their suit (our infrastructure) becomes unacceptably shoddy and worn. A few brave state and local leaders have ignored this disincentive to invest by boosting revenue, but they have done so at the peril of a future political opponent criticizing them for not working harder to get federal funding. The federal government should reverse this coupon effect and build on the success of past incentive programs such as tax credits for renewable energy and the Smart Cities Challenge program. In all these cases, the federal government provided incentives to encourage investment, and the incentives resulted in a dramatic increase in available resources. Without this realignment, the coupon effect will encourage project proponents to ignore local resources and instead take lobbying trips to Washington, D.C. This dynamic was displayed during a breakfast I hosted in the White House with a delegation seeking federal funding for a port project. Their best selling point was a study demonstrating the seven dollars in economic benefits that would be generated for every dollar invested in the port. I thanked them and pointed out they were in the wrong city. They should be in New York, not Washington, as there is virtually no limit to the number of investors interested in a return of such magnitude. Updating our nation’s infrastructure policy will be challenging, but it is critical. Infrastructure is the only policy area affecting services utilized by every American, every day. Improving our nation’s infrastructure not only helps spur economic growth, but also dramatically improves our quality of life. Repeated public opinion surveys have shown that the vast majority of Americans want better infrastructure. People are tired of wasting time in traffic, worrying about water quality, or living without broadband. Improving our nation’s infrastructure not only helps spur economic growth, but also dramatically improves our quality of life. Overcoming the problems of expectations, diversity of need, and misaligned incentives requires us to work with the real owners of infrastructure assets: governors, mayors and county executives. They are best positioned to develop a post-Interstate, 21st century infrastructure policy framework that provides a more efficient way to build and maintain the world’s best infrastructure. Why is federal infrastructure policy so difficult? This entry was posted in Armonk and tagged Armonk NY Homes, Armonk NY Real Estate, Infrastructure on March 22, 2019 by Robert Paul. Freddie Mac today released the results of its Primary Mortgage Market Survey® (PMMS®), showing that the 30-year fixed-rate mortgage dropped 10 basis points to 4.31 percent. 30-year fixed-rate mortgage (FRM) averaged 4.31 percent with an average 0.4 point for the week ending March 14, 2019, down from last week when it averaged 4.41 percent. A year ago at this time, the 30-year FRM averaged 4.44 percent. 15-year FRM this week averaged 3.76 percent with an average 0.4 point, down from last week when it averaged 3.83 percent. A year ago at this time, the 15-year FRM averaged 3.90 percent. 5-year Treasury-indexed hybrid adjustable-rate mortgage (ARM) averaged 3.84 percent with an average 0.3 point, down from last week when it averaged 3.87 percent. A year ago at this time, the 5-year ARM averaged 3.67 percent. This entry was posted in Bedford and tagged Bedford NY Luxury Homes for Sale, Bedford NY Real Estate, Mortgage rates on March 20, 2019 by Robert Paul. 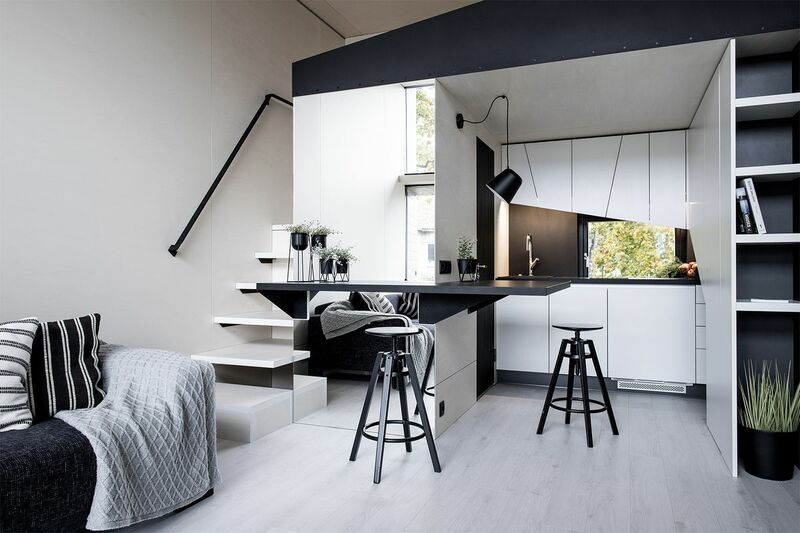 Kodasema, the Estonian design collective known for its ultra-stylish tiny homes, has created yet another ultra-stylish tiny home. Only this time it floats on water. The company’s new minimalist design, the Koda Light Float, sits atop of pontoons, allowing it to float at a dock or hitch to a boat. 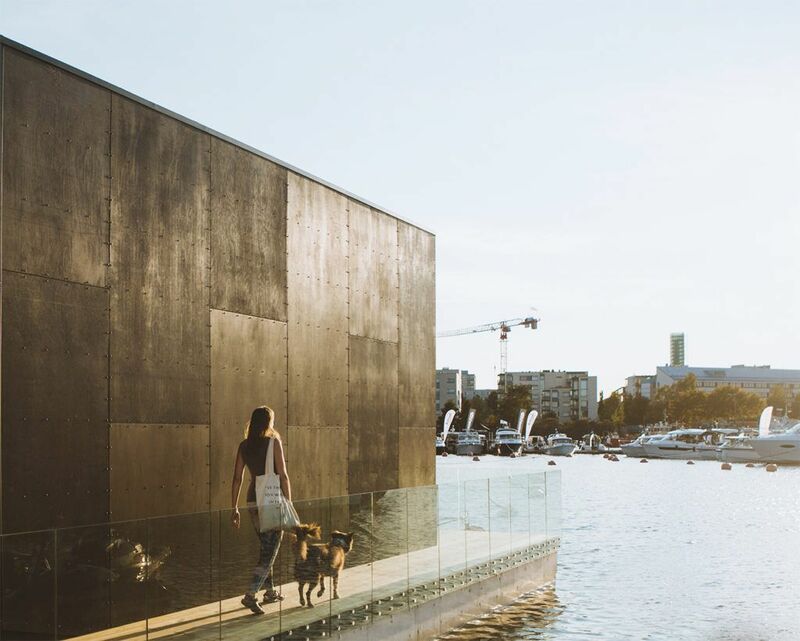 Unlike Koda’s sleek, concrete tiny homes, the Light Float is built from a timber and glass frame that’s clad in a variety of materials including zinc and wood. Inside, the 277-square-foot tiny home has a spacious living room with tall ceilings, a modern kitchen, a sleeping area, and a bathroom with a shower and toilet. It also comes with an expansive wooden deck that’s asking for lounge chairs. 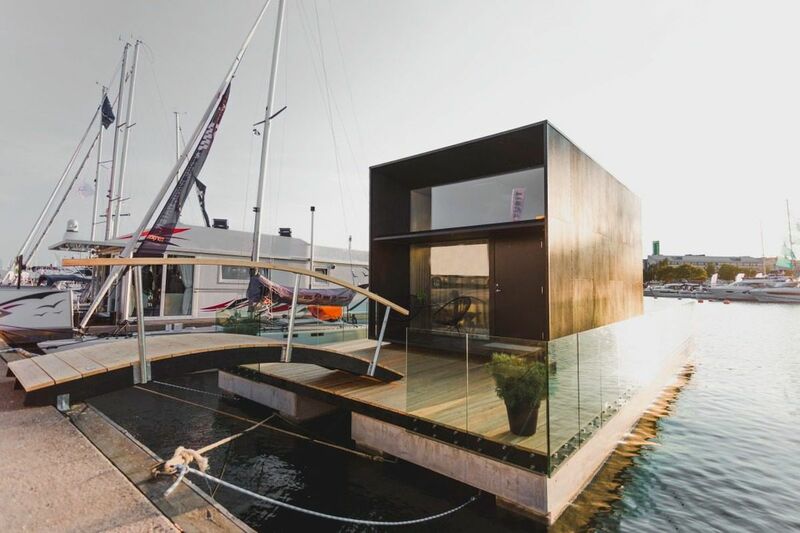 The floating Koda home, which can be stacked to create a bigger dwelling, has a three-month turnaround time. Price is upon request. 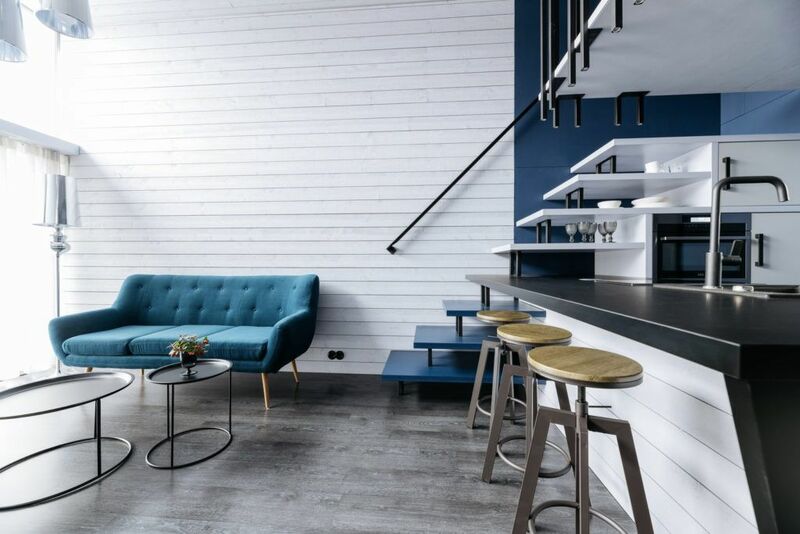 This entry was posted in Pound Ridge and tagged Pound Ridge NY Homes, Pound Ridge NY Real Estate, Pound Ridge Real Estate on March 18, 2019 by Robert Paul. Inflation Rate in the United States is expected to be 2.00 percent by the end of this quarter, according to Trading Economics global macro models and analysts expectations. Looking forward, we estimate Inflation Rate in the United States to stand at 2.10 in 12 months time. In the long-term, the United States Inflation Rate is projected to trend around 2.10 percent in 2020, according to our econometric models. This entry was posted in Cross River NY, Westchester NY and tagged Inflation, interest rates, Westchester Realtor on March 16, 2019 by Robert Paul. The Town Board met with Ken Kohlbrenner with Woodard & Curran, the engineering consultants for the Town on the sewer project, Director of Planning Jeff Osterman and Public Works Commissioner Kevin Winn to discuss the sewer project. First, I provided an update on the status of the existing project, which we’re referring to as Phase I. As you know, the launch of the project hinges on the registration of the Intergovernmental Agreement (IGA) between the Town and New York City. The IGA is the source of $13.3 million in funding for the project, so it’s essential that it be in place. The registration process began in June of last year. It’s a long process. At one point we thought it might be completed in January, but it has taken longer and likely will not be completed until late Spring/early Summer this year. Following registration of the IGA, we would go out to bid, however the Summer is the high season for bidding projects and so doesn’t place us in an ideal competitive environment. We also do not want to disrupt the business districts with construction in November or December. As such, the anticipated project schedule now is as follows: • Complete design, regulatory approval, and IGA – August 2019• Receive bids for Construction Work – November 2019• Start Construction – Spring 2020• Complete Construction – Fall 2021 As we’ve discussed, given the lengthy process for implementation of the sewer project, last Fall we decided we should explore the next phase (Phase II) and beyond for sewers for Bedford Hills and Katonah. That led to a Preliminary Engineering Report which Woodard & Curran prepared. Phase II centers on Bedford Lake Apartments/Lakeside at Bedford off of Haines Road, because it is the last of the DEP upgrade sites. Our recent meeting with DEP was encouraging that DEP is quite interested in having the Town proceed with an “alternative upgrade” connecting those apartments to the sewer system and providing the Town the funds it otherwise would have spent on a new wastewater treatment plant for the apartments and discounted to present value cost of operation and maintenance of the plant. The Woodard & Curran report made it clear that connecting to the County sewer district through Mt. Kisco was not only logistically difficult with multiple entities’ approval required, but also much more expensive than a modest expansion of the capacity of the capacity of the wastewater treatment plant that the Departments of Corrections and Community Supervision will convey to the Town. We discussed options that the Town might consider for sewers, recognizing that there needs to be property owner support which eventually would take the form of a vote on a referendum based on costs to the owners (both the cost of connecting as well the annual sewer rent). Conservation Board Report and Update Simon Skolnik, Chairman of the Conservation Board, provided a comprehensive report on the Board’s work in 2018 and plans for 2019. We are grateful to the Board for its leadership and dedication. Over the years the Board has developed and proposed initiatives which have found their way into the Town’s policies, local laws and operations. Most recently the Board has been responsible for securing grant funding for a tree inventory, NYS rebates for electric vehicles for the Town’s operations, an EV charging station and invasive plant removal. Dan Welsh, director of Westchester Power, the Community Choice Aggregation program of Sustainable Westchester, presented a report on the renewal of CCA in NYSEG service area. The Town has been a participant in the consortium of Westchester municipalities which through Sustainable Westchester are beneficiaries of bulk pricing on electricity for our residents and small businesses. Dan Welsh’s presentation, which the Public Service Commission requires as part of its authorization to Sustainable Westchester for the CCA program, reviewed the successful bidding for the power contract. As mentioned previously, Direct Energy, a Texas-based wholly-owned subsidiary of British multinational Centrica PLC, submitted the winning bid which satisfied our conditions both for the standard supply and the New York State origin renewable energy supply. The company has business in several states, including community aggregation programs in Ohio, Illinois and Massachusetts and has been doing business in New York for 14 years. The pricing is for a contract term of 19 months at 6.93 cents per kilowatt hour (kWh) for the renewable hydro supply and 6.61 cents kWh for standard supply. The new contract term begins on May 1. We are pleased with the successful results enabling the Town to continue with the Westchester Power program for the benefit of our community. As I mentioned last week, by the authority conferred on me by the Town Board, I signed the Electricity Service Agreement for the Green Option earlier this week thereby making Bedford the first municipality to renew. This has been a very successful program for electricity customers – those of you not in the program may wish to review it to see if it makes sense for you. The Town Board reviewed revisions in proposed amendments to the Town Code which were developed with our Police Department, Code Enforcement personnel and Town attorneys, Keane & Beane, to eliminate inconsistencies in sections of the Town Code relating to noise disturbance. In addition to intending to eliminate the inconsistencies, we also want the noise law to be fair and equitable. Based on decisions of the Town Justice Court, we also needed to clarify provisions pertaining to dog barking. We also would require a permit (no fee would be charged for it) through the Town Clerk for live music or DJs for any tavern or restaurant in a non-residential area. The revisions in the proposal included limitations on exemptions to the noise law. The Town Board set public hearings starting at 7:00 PM on Tuesday, March 19 for the four sections to the Town Code which are involved. The following are key provisions: To address the inconsistencies, the proposed amendments eliminate the provisions which are difficult to enforce regarding unreasonable or excessive barking and what constitutes a noise violation, and has replaced them with revised provisions to define “Noise Disturbance” and identify specific activities that are prohibited and specific activities that are exempt from the noise regulations.For enforcement purposes, it requires either sworn affidavits from two separate persons in two separate residences, direct observation by the enforcement officer or official, or that the noise level exceeds certain decibel levels as measured with a sound metering device.The revisions continue to permit the use of a sound metering device as an alternative method of enforcement and sets specific decibel levels that cannot be exceeded in residential and nonresidential zones during daytime and nighttime hours. The law identifies a number of noise making activities that are generally exempt from the noise regulations. However, there are limitations with respect to many of these exemptions. In addition, a general provision has been included that the exempt activities cannot exceed the National Institute for Occupational Safety and Health recommended exposure levels for occupational noise exposure. A new provision would be created requiring a permit for live music (two or more performers) or DJs for any tavern or restaurant in a non-residential zone. 7:10 PM – Public Hearing – Proposed amendment to Chapter 125 of the Town Code relating to noise disturbance 7:15 PM – Public Hearing – Proposed amendment to Chapter 79 of the Town Code requiring a permit for live music/DJs for restaurants and taverns innon-residential zones. Pictured above are members of the HeatSmart Team, representing Bedford 2020, Lewisboro Sustainability Committee, Pound Ridge Energy Action Committee with Bedford Town Supervisor Chris Burdick, Lewiboro Town Supervisor Peter Parsons, Pound Ridge Town Supervisor Kevin Hansan. HeatSmart Bedford-Lewisboro-Pound Ridge Has Arrived! On Wednesday night at the Bedford Playhouse, local sustainability groups kicked off HeatSmart Westchester, an opportunity to significantly reduce energy consumption, cut greenhouse gas emissions, and help homeowners not only reduce their energy bills, but also increase their year-round comfort and the value of their homes. Sign up online to get started on your path to clean heating and coolingwith HeatSmart Bedford-Lewisboro-Pound Ridge!Call (914) 302-7300 ext 1. for assistance. ﻿Save the date for Pound Ridge’s HeatSmart event on April 13th. In advance of the Town of Bedford Leaf Blower regulations, which come into effect on May 15, the Leaf Blower Task Force is hosting a workshop for landscapers at the Bedford Hills Train Station on March 19 at 5 p.m. Earlier today I testified at a special State Senate hearing in White Plains on public transportation. On February 8 I had also testified to present the resolutions of the Bedford Town Board urging the New York State legislature to provide funding for the repaving of the 1.5 mile portion of I-684 which runs through Katonah. As so many are acutely aware, the Town of Bedford for over 20 years has beseeched the State to pave this short portion of roadway, the original concrete roadbed and the only portion of all of I-684 which has not been paved in fifty years when it first was constructed. [Link to testimony]. I urge you to keep up the calls, e-mails and letters to our representatives urging them to pave this dangerously deteriorated portion of the highway. See below under “Special November 8 Town Board Work Session on I-684” for contact information and thank you for pressing to get this done. With Winter drawing to a close, we are pressing Con Edison to finally resurface the Route 117 chewed up from its gas main replacement work last year. As Route 117 is a New York State road, we are working through New York State Department of Transportation to get this done. NYSDOT has previously mandated, and Con Ed agreed to comply with, curb to curb restoration of the portion of 117 disturbed by Con Ed as part of two NYSDOT highway work permits. ﻿I am calling a meeting among representatives of NYSDOT, Con Edison and the Village of Mount Kisco to confirm the project scope and ensure that permanent curb to curb restoration occurs to NYSDOT’s satisfaction as soon as temperatures allow for paving to occur. A number of residents have contacted me regarding the proposal of the Bedford Fire District to construct a new fire house off of South Brook Road and Old Post Road (a/k/a Route 22) in Bedford Village. At the outset I should explain that the Town’s attorneys have determined that the Town has no approval authority over the proposed firehouse project because the Bedford Fire District is a local government entity under New York law. The Bedford Fire District has posted a substantial amount of information regarding the proposed fire house which can be accessed at www.bedfordfire.com. The New Fire House Committee invites the public to send questions regarding the project to NFC@bedfordfire.com or call (914) 205-6341 which are both dedicated to the project. NYSEG is making progress on infrastructure improvements which NYSEG pledged to make to improve resiliency, reduce the impact of storms and resulting power outages and allow faster restoration of power. These include pole replacement, re-conductors, infrastructure hardening, voltage and topology upgrades, network automation, automated meter reading and vegetation management. NYSEG informed me that it has completed the installation of five reclosers in Bedford. I looked up the word reclosers and got this: “Reclosers are small circuit breakers located at the top of distribution poles and are typically used on very long distribution feeders. Their function is to isolate a section of the feeder in fault or overload conditions and thereby minimize the number of customers without service” In addition, upgrade work is nearly complete on one major circuit serving Bedford and should be completed soon on another. The infrastructure improvements are largely invisible to us, but I am hopeful that they should help. I also should mention that one of the most effective means to reduce outages are tree removal and tree trimming. We love our trees. In fact Bedford is devoting considerable funding in its Capital Plan for tree plantings and management. We also are optimistic that we will receive funding from NYS to augment our own investments. That said, in heavy winds or iced power lines, trees or tree limbs come down and with them power lines. We strive for a balance between preserving and protecting beloved trees and reducing the frequency of power outages. Reminder: please contact me at supervisor@bedfordny.gov if you observe any tree limbs on power lines or diseased or dead trees or tree limbs which appear to threaten power lines, property or people (such as under a school bus stop, as recently reported and acted upon). I have been asked the Westchester County Planning Department for an update on the status of the Town’s application last year for Community Development Block Grant infrastructure funding for Bedford Hills. The Town submitted the application last year to the County as a participant in the CDBG consortium of Westchester municipalities. The U.S. Department of Housing and Urban Development (HUD) provides CDBG grant funding to the County which in turn awards funds to participating municipalities. The County Planning Department advised me late last week that the County awaits notification from HUD of the County’s grant allocations. The notification is expected in the middle of April and the County’s determinations of grant awards will likely be made sometime in the mid or late June. Let me provide background and context. Readers may recall that last Spring, the Town Board authorized the Town to enter into an agreement with Westchester County for the purposes of participating with the County in its Community Development Block Grant program with funding from the federal government. A portion of Bedford Hills is designated as a low and moderate income area and eligible for CDBG funding. The Town must provide not less than a 50% matching funds for the projects for which the CDBG application is submitted. The Town made applications for three years of CDBG funding for sidewalk and traffic improvements which Bedford Public Works Commissioner Kevin Winn described as follows: The sidewalk along the length of Babbitt Road is deteriorated and in need of replacement. The material condition of the sidewalk is such that it may present safety and liability issues in the form of tripping hazards. Handicap ramps need to be upgraded to meet current ADA requirements. Moreover, the sidewalk is heavily utilized by low-moderate income families that travel with their young children to and from the elementary school located on Babbitt Road. The sidewalk is also a pathway used by low-moderate income families to access the Bee Line bus stops. These buses transport many residents to and from work, to the doctor’s office, etc. In addition, the intersection of Harris Road and Babbitt Road is in the low-moderate income area and is used frequently by area residents. Due to a vertical curve or hill, sight distance for a left turn from Babbitt to Harris Road is quite limited, well below the required 200’ sight distance for a 30 mph intersection. It is proposed to modify the intersection orientation to eliminate the center island and stop signs at two of the three approaches, creating a much safer turn condition. As part of the intersection redesign, sidewalks and drainage will be replaced. Design will include ADA compliance. Therefore, the Town of Bedford seeks Community Development Block Grant assistance in sidewalk / street-scape / intersection improvements that will address the abovementioned issues and enhance the safety and quality of life of the residents in the area. In year 1, the Harris Road and Babbitt Road intersection would be improved to create a much safer turning condition and include ADA complaint sidewalks. The project amount is estimated at $400,000, with a requested $175,000 CDBG grant and $225,000 Town match from General Fund fund balance. In year 2 the CDBG project requested by the DPW would be to replace the concrete sidewalk, curb, culverts and catch basins on Babbitt Road from Buxton Road to 1,500’ east of Buxton Road. The existing drainage culvert is under the existing sidewalk, and is in poor condition. The project amount is estimated at $400,000, with a requested $175,000 CDBG grant and $225,000 Town match from capital projects. In year 3 the CDBG project requested by the DPW would be to continue to replace the concrete sidewalk on Babbitt Road from 1,500’ east of Buxton Road to the intersection of Turin Avenue. The existing drainage culvert is under the existing sidewalk, and is in poor condition. The project amount is estimated at $400,000, with a requested $175,000 CDBG grant and $225,000 Town match from capital projects. REMINDER: Balloon TestsRe-Scheduled for Saturday, March 9 The balloon tests for the proposed cell tower at Petre Glass site or in the alternative the Town office property at 425 Cherry Street is now scheduled for Saturday, March 9th with a weather postponement date of March 10th. The balloon tests will begin at 8 AM and last until 12Noon, as long as there is little wind. All balloons will be at a height of 150 feet and will be red in color. Choose Reusable! Members of the Bedford community are gearing up for the April 1 launch of the Reusable Bag Initiative, aimed at cutting back on the use of paper or plastic bags when shopping. As mentioned previously, on April 1, Bedford’s law goes into effect and from then on customers who arrive at the check-out counter without a reusable bag and request a bag will be charged a dime for each paper or plastic bag. We don’t want you to pay a dime! So we’ve teamed up with Shoprite, DeCicco’s and Key Foods who are now in the middle of a massive distribution to their customers without charge of reusable bags. Shoprite is giving away 6,200, but there is a limit of one per customer, and DeCicco’s and Key Foods 1,000 each. But once April 1 arrives, they won’t be giving them out for free any more. We’ve gotten questions about the program ranging from how to obtain more reusable bags, the 10c fee itself. Please see our FAQs. The Board met the representatives of the Communications Committee the renewal of the Town’s franchise agreement with Verizon FIOS expiring on December 31. (Last week I incorrectly stated that the Cablevision agreement also is expiring on December 31; rather, it is expiring in the middle of 2022). The Town intends to renew the FIOS agreement to enable the services to continue for our residents and businesses. Joining us in the work session was Whitney Singleton of the law firm of Singleton & Singleton who ten years ago served as special counsel to the Town on the franchise agreements. Communications Committee to meet and in consultation with Mr. Singleton develop a list of recommended priorities in the negotiations with Verizon.Evaluate whether Verizon is meeting its obligations under the present franchise agreement; including whether it is providing credit for basic service on FIOS bills.Provide a report/recommendations to the Town Board ahead of the Board’s April 2 meeting. The Board held a public hearing on a parking regulation change for Babbitt Road and Glen Road to improve the line of sight for motorists, following which the Board approved the change. The Board held a public hearing on a proposed stop sign at South Road in Katonah, again to improve the line of sight for motorists. Here too we approved the proposal. In response to some comments received, we postponed until the March 5 meeting consideration of a no parking zone for a portion of Beaver Dam Road. Mr. Latimer appeared before the Board to explain his proposal, currently under consideration by the New York State legislature, which would increase by 1% the sales tax for towns and villages in Westchester County and raise the present rate in Bedford from 7 3/8% to 8 3/8%. The purpose of the increase is to repair the County’s “structural budget deficit” of $60 million which absent the adoption of his proposal would result in reduction in County services, further “one shot” measures such as sale of County assets and other cost reduction measures. The County has been dipping into its Reserve Fund to fund operations, a fiscally imprudent use of Reserve Funds. The proposal would stabilize County property tax rates. If the increase is adopted, the County would freeze County property taxes for two years (i.e., 0% increase for each of the two years). The sales tax increase would be shared with towns and villages and school districts as follows: 70% to the County; 20% to towns and villages and 10% to the school districts. There is no action required or requested on the part of the Town of Bedford or any other municipality to receive the additional sales tax revenue. He noted that such additional revenue may enable a municipality to moderate property tax increases which otherwise might be required, however, he was hesitant to estimate the increase in sales tax revenue to Bedford, stating that such revenues are difficult to predict. The sales tax increase would “sunset” on December 31, 2021. Mr. Latimer would need to seek re-authorization from the State legislature before the end of the 2021 legislative session should he wish to have the increase remain in place, which he stated he expects would be needed to correct the County’s structural budget deficit. Exemptions for food, clothing and medications are set by the New York State legislature. If the proposal were adopted, it would become effective at some time later in 2019, the implementation of which will depend upon the date of adoption. In response to Town Board questions regarding whether there would be a loss of sales to New Jersey or Connecticut, Mr. Latimer stated that studies have shown that except for large ticket items, such as cars, consumers tend to shop closer to home and are not likely to change their shopping patterns based on a 1% increase in the sales tax. In response to anticipated concerns about the regressive nature of sales-taxes in general, Mr. Latimer pointed out that the revenues from the proposed increase would be used to fund essential programs and services that would benefit lower-income residents throughout Westchester. The current sales tax presently for four Westchester cities is at or higher than the 8 3/8% proposed rate proposed and would not change: Yonkers (8 7/8 %) and Mount Vernon, New Rochelle and White Plains, each at 8 3/8%. In these municipalities, where the majority of Westchester’s lower-income residents reside, the sales tax would remain unchanged. As mentioned last week, an integral part of the sewer project is the substantial funding from the NYC Department of Environmental Protection which derives from the Town connecting three properties to the sewer system to be constructed: Bedford Park Apartments, Katonah Elementary School and St. Mary’s School. The connection to the sewer system is as an alternative to DEP’s obligation either to replace existing wastewater treatment at those properties. The connection to the sewer system, referred to as an “alternative upgrade”, will result in the Town receiving over $13 million relieving the DEP of the requirement. Public Works Commissioner Kevin Winn who worked patiently with the site owners and their counsel on “connection agreements” with the Town which were presented to the Town Board for approval and to which the Board agreed. Director of Planning Jeffrey Osterman presented an update on the sewer project explaining that the project remains on schedule. We anticipate that New York City will complete late Spring/early Summer its lengthy registration of its Intergovernmental Agreement with the Town. This will enable the Town to bid out the project and commence construction late Summer/early Fall with completion in late 2021. Mr. Osterman also explained that the staff and I are working with DEP on “Phase II” to bring sewers to more areas of the more densely populated areas of Bedford Hills and Katonah. The Board scheduled a work session for March 5 at 6 PM to discuss it. As I’ve mentioned previously, Homeland Towers, a cell tower developer whose customers include Verizon and AT&T, has proposed a cell tower at the Petre Glass property at 29 Haines Road or in the alternative at the Town’s nearby property at 425 Cherry Street. A tower at the Town’s property would eliminate the need for the one proposed at 29 Haines Road and the Police Department would be provided the highest on the tower for upgraded emergency wireless communications equipment for which it is in need. The Planning Board will review the application for the Petre Glass site, because it is on private property, and the Town Board will review the application for the 425 Cherry Street site. As those following cell tower proposals are aware, the Town has very limited authority regarding the siting of cell towers due to federal law pre-emptions (see discussion below). The first step in a municipality’s consideration of the siting of a cell tower is to set balloon tests, a standard test which the Planning Board requires to help assess the suitability of particular sites. A balloon test is conducted by floating orange or red balloons that are at the height needed for the proposed cell tower. The test will give the community a perspective of the visual impact of the proposed tower. On February 5, the Town Board, with the concurrence of the Planning Board, set the balloon tests for all three locations (one on the Petre site and two at 425 Cherry), for Saturday, March 2, 2019 with a rain/snow date of Sunday, March 3, 2019. The Planning Board will set the standards for the balloon tests at its February 26 meeting. You are encouraged to attend and voice your comments regarding the balloon tests. Please note that balloon tests regarding﻿Guard Hill have been canceled. The Town of Bedford is governed by federal law. Federal Law overrides local law. In December 2018, the Town Board amended its local law on applications for large wireless facilities and small wireless facilities in order to take into account the Federal Communication Act and new rules and regulations of the Federal Communication Commission (FCC). The FCC has ruled that it is a federal matter and not a local matter whether a particular cell tower is safe; that it does not emit radiation or that it does not pose a safety hazard. This is because the Federal Communications Act has determined that is a federal responsibility. Municipalities are preempted from denying a cell tower application due to health, safety and radiation reasons. In other words, if a municipality wishes to deny an application for a cell tower, it may only due so on narrow land use concerns. If the applicant establishes certain facts, including deficient service with no viable, less intrusive, alternative location, then the municipality has little choice in the matter. The new Town law also provides new tools to the Town to help protect residential areas of Town. At the February 5 meeting of the Bedford Town Board, we adopted two resolutions regarding the Governor’s proposed budget:The first calls for restoration of Aid and Incentives to Municipalities for the Town (AIM), for increased funding the Consolidated Local Street and Highway Improvement Program (CHIPs) (NYS funds for local road projects) and to retain funding for the Local PAVE-N and Extreme Winter Recovery (EWR). In particular, the Governor’s proposed budget would result in a loss of $79,494 in AIM funds to the Town of Bedford. At a time when our Town like so many others in New York struggle to sustain services to its residents, AIM funds are more critical than ever. We ask that the budget include such funds. New York’s roads have been deteriorating at an alarming rate. These include our local roads. We need the funds. The second calls for funding for the concrete portion of I-684 running through Bedford. This is the only section of I-684 which is the original road bed completed in the late 1960s. So it’s 50 years old. And it’s in terrible shape. We’ve been asking for over two decades, yes, two decades that the State fix it. It is dangerous. I presented the Town Board’s resolutions on February 8 at a special budget forum in Greenburgh hosted by all of the New York State Senators representing Westchester County. I will keep you posted whether we are successful in our efforts regarding the state budget. At its February 5 meeting, the Town Board adopted a resolution, as authorized by a special emergency amendment to New York State real property tax law, to grant a temporary extension for payment of real property taxes for furloughed federal workers or the designated non-paid federal employee. The action provides a penalty free period for a 90 days after the furlough has ended. Those Bedford property owners that have been impacted by the furlough must apply for the extension in the Tax Receiver’s Office, located at 321 Bedford Rd in Bedford Hills, no later than March 4, 2019. The need to resolve inconsistencies between sections of the Town Code, which create confusion for our community as well as enforcement concerns. Response to advice from our Police Department and Code Enforcement Officer personnel that use of noise meters for residential noise complaints typically is impractical. Creation of a clear definition of what constitutes a noise disturbance and need for a balance to ensure that valid complaints are addressed but invalid complaints are not. Need to address concern from both businesses and residents alike that there be a fair, clear and simple method for permitting live music (more than one performer) in restaurants and taverns in non-residential areas to provide that reasonable noise regulations are being observed. The Town Board reviewed the proposal and will further review it in an upcoming work session. Of course, we welcome comments on the proposals. Presentation of Capital Markets Advisors The Town’s financial advisors Beth Ferguson of the Town’s financial advisors, Capital Markets Advisors, made a presentation to the Town Board to explain its role as financial advisor for the Town’s bond issuances. Ms. Ferguson also explained the role of bond counsel, auditor, bond insurer and other parties; the authorization process for issuance of debt; financing options (i.e., Bond Anticipation Notes and Bonds); the Town’s bonds which are outstanding at present; credit ratings and the Town’s current Standard & Poor’s Rating of AAA (highest rating) and the basis for the ratings.CMA PowerPoint presentation. She emphasized that the Town’s highest credit rating is resulting in significantly lower interest rates than municipalities without such a rating. Our thanks to Comptroller Zambrano and our department heads for their careful management of the Town’s finances. Presentation of Energize NY Lauren Brois of Energize NY (formerly known as Energy Improvement Corporation) will provided an update on the Energize program in Bedford. The Town is one of two Westchester municipalities (the other is New Rochelle) which has contracted with Energize to continue the residential Energize program on an annual basis. Ms. Brois presented the results of the program for 2018 and the plans for the 2019 program. “We will accept applications for new gas service until March 15, 2019. Customers will be accepted on a first-come, first-served basis unless it becomes necessary to stop accepting new requests before the end of the enrollment period. Customers will be provided specific timelines based on their request type. New buildings will be allowed up to 24 months to complete their projects.” We are highly concerned about significant adverse impacts for both residents and businesses alike. I am particularly concerned should the moratorium be prolonged and extend to the completion of Phase I of the sewer project in the business districts of Bedford Hills and Katonah. At the briefing, Con Edison stated that the moratorium is due to higher than anticipated demand for natural gas provided by the pipelines which serve Westchester County. Con Edison does not know when the moratorium will end. Con Edison explained that there had been a sudden and dramatic shift in natural gas supply and demand which prompted Con Edison’s moratorium action. I now am working with our Building Department poring over active building permit applications to ascertain who might be affected. We will provide the results of our research to County Executive George Latimer who has requested such information from each municipality served by Con Edison natural gas. His staff will compile the data in an effort to assess the magnitude of the impact and work to mitigate it. If you have submitted an application to Con Edison for natural gas service and are concerned about its status or are considering submitting an application for new service, please feel free to contact me so I may try to assist. Bedford 2020 has been given the opportunity to identify a small group of households to participate in a community solar project. This opportunity is only for residents who do not already have rooftop solar and who live in NYSEG territory. If you are a NYSEG customer, you may qualify.Community Solar brings the benefits of solar power to your home without your having to install solar panels on your roof or property. The panels are sited at another location in the community. In this case, the array is located on a local horse farm in North Salem and is big enough to provide power for about 15 households. Bedford 2020 has been given the opportunity to identify a small group of households to participate in a community solar project. This opportunity is only for residents who do not already have rooftop solar and who live in NYSEG territory. If you are a NYSEG customer, you may qualify. Community Solar brings the benefits of solar power to your home without your having to install solar panels on your roof or property. The panels are sited at another location in the community. In this case, the array is located on a local horse farm in North Salem and is big enough to provide power for about 15 households. By participating, you will be supporting local, clean energy and seeing guaranteed savings on your electricity bill (of up to 5%) each and every month. You will also have the ability to cancel at any time with no penalty and no upfront costs. Signing up is as easy as uploading a utility bill and signing a short agreement. Click here to sign up, or call Nick directly at PowerMarket: 203.247.809, or email him at nick@thepowermarket.com. We are excited to offer Bedford 2020 supporters a chance to participate in this exciting renewable energy project. If you think you may qualify, please take action ASAP to find out more about this opportunity. Spots are limited! Meatless Mondays makes the news! “The B2020 Meatless Monday campaign was written about on the Johns Hopkins Center for a Livable Future blog. The Board held a special work session to discuss the unacceptable lack of progress in getting New York Department of Transportation to repave the concrete portion of I-684 running through Katonah – the original road surface nearly 50 years old. We are pleased that Regional Director of the NYS DOT Lance MacMillan and members of his staff participated as well as State Senator Shelley Mayer, Assemblyman David Buchwald, County Legislator Kitley Covill and representative of Congressman Sean Patrick Maloney joined usKatonah resident Peter Nardone presented a compelling case, as an engineer with significant experience on major highway projects (he was part of the team overseeing work on the FDR Drive and the Gowanus Expressway), on the deterioration in the surface and the significant safety risks. Police Chief Melvin Padilla presented accident data obtained from the State Police. ﻿We also shared with Mr. MacMillan letter from the Katonah Fire Department and the Katonah Bedford Hills Volunteer Ambulance Corps citing accidents and safety hazards. We expressed our continued frustration that of the approximately 30 miles of I-684, the stretch running through Katonah is the only portion of the road which is the original road surface and has not been re-paved. We have been petitioning NYS for nearly 20 years that the paving be carried out. Especially upsetting is being advised last year that funds were in place for repaving only to learn that the funds vanished for an emergency project (collapsed wall of a bridge carrying the Sprain Brook Parkway). While we certainly understand the need to attend to emergencies, it is incumbent on DOT to work with us to find funds. · Mr. MacMillan stated that paving the project is a top priority for his Region of the DOT.· The project should not await the years’ long corridor study and subsequent project funding for 684 from Exit 5 north to 84 and 84 east to the Connecticut line. · The DOT Regional Office needs to very soon identify the cost of the project· The DOT Regional Office needs to persuade DOT Commissioner Paul Karas to put the project in his budgetary request to the Governor which is submitted this coming January. Senator Mayer and Assemblyman Buchwald were adamant in this regard to enable them to advocate for the funding during the budget negotiations.· Mr. MacMillan stated that design work for the project was well along and that if the funding were in place for the budget, the paving could take place in 2019. Many in the community have asked me for contact information for our elected representatives and NYS officials involved in the process so that they can reach out to them to let them know the concerns: Governor Cuomo: https://www.governor.ny.gov/contact1-518-474-8390 DOT Albany office: 518-457-6195DOT Region 8 Acting Regional Director Lance MacMillan: 845-431-5750 State Assemblyman David Buchwald: buchwaldd@assembly.state.ny.us,914-244-4450 State Senator Shelley Mayer: smayer@nysenate.gov﻿518-455-2031 If you send an e-mail, please consider copying me and our legislators. This reminder came from our Bedford Fire Chief, Shawn Carmody, who has noticed that the disregard for the rules of the road regarding emergency vehicles has gotten worse since school has started. “We have seen many drivers lately not pull over for emergency vehicles. We’re not sure of the reason, whether they are distracted, don’t hear or see the emergency vehicle or just feel they can stay ahead of the emergency vehicle at their current speed. State laws — and common sense — dictate that vehicles yield to emergency vehicles that are operating their emergency lights and siren. Emergency vehicle drivers are taught to pass on the left whenever possible and safe to do so when responding in an emergency mode. When it’s safe, drivers should slow down, pull over to the right and come to a complete stop, no coast or ride the shoulder. When a driver pulls over and then drives on the shoulder at a slower speed, they lengthen the distance in which the emergency vehicle must navigate before fully passing the vehicle. A vehicle travelling at 20mph on the shoulder is covering 29.3 feet every second and that adds to the passing corridor. This also provides less room for the emergency vehicle to pass and navigate oncoming traffic if they haven’t fully pulled over. When you see a personal vehicle operating a flashing blue or green light, those are volunteers responding to a call, they do not have the right of way like emergency vehicles do. These flashing lights are known as courtesy lights and we ask that people pull over if safe to do so, but you are not obligated to do so. These volunteers must stop for all traffic control devices and obey all traffic laws when responding. Town of Bedford Residents that do not have a commuter parking permit are allowed to park for free in the commuter lots Monday to through Thursday from 6:00 pm to 5:00 provided that they have a resident parking decal. Parking is free on weekends to everyone starting on Fridays at 6:00 pm and on the following holidays: New Year’s Day, Martin Luther King Day, President’s Day, Memorial Day, July Fourth, Labor Day, Veterans Day, Thanksgiving Day and Christmas Day. Single Stream Recycling Bedford 2020 has been enormously successful in promoting Single Stream recycling having advocated its establishment and helped the community embrace it. As noted below under “Further News on Recycling”, Westchester County awarded Bedford its “Eco Award” for Bedford’s having the highest recycling rate in the County. We strive to further increase recycling rates. To that end representatives of Bedford 2020 and I met earlier this week with representatives of the carters serving Bedford. We are pleased to enjoy a strong partnership with the carters, without whom Single Stream would not be successful. We discussed various strategies for making further progress. I also explained that some residents had contacted me about disturbance from very early morning collections in residential neighborhoods. ﻿The carters are amenable to a simple change to the Town’s law providing that there be no pick-ups on Sundays and federal holidays and that pick up in residential neighbors be limited to Monday through Saturday between the hour of 7 AM and 7 PM. I will propose this change to the Town Board. The Railroad Avenue Recycling Center is located at343 Railroad Avenue, Bedford Hills, NY 10507.Hours are 8:00 AM to 3:00 PM on Tuesdays, Thursdays, and Saturdays. Carters are obligated to collect single stream recyclablesat your property along with trash for all customers. For those who wish to drop off recyclable materials,the Railroad Avenue Recycling Center accepts single stream recyclables(metal, plastic, glass, cardboard and paper). Residents may bring electronic waste to the Recycling Center, but please note that for CRTs (TVs and old monitors), residents first must obtain from the coupon from the Town Clerk after paying a modest fee (to cover the costs to the Town). The Town of Bedford Beaver Dam Compost Facility processes recyclable wood waste and leaves from the Town and provides beneficial reuse of the waste as compost and mulch. The facility provides an extremely cost effective method for this recycling as well as an environmental benefit of local recycling with minimal transportation requirements. It is open for residents to dispose of recyclable wood waste (logs and branches up to 6” diameter, brush, and leaves), as well as pick up wood mulch and leaf compost. This service is free to Town of Bedford residents between 7:30 AM and 3:00 PM Monday to Friday, excluding Town holidays. Much is repeated in each newsletter, but to reduce the length each week, here are the past few complete newsletters. A regular reader of this weekly newsletter asked why I repeat certain posts from week to week. I do so because not everyone reads my newsletter on a weekly basis, much information provided remains relevant and I wish to continue to alert the community about it. In response to the comment, however, you will see that I’ve divided the newsletter into two sections “New Posts” and “Continuing Posts”. Both sections are relevant and, I believe, worthy of review. I wish to thank readers for making suggestions and comments; over the years, I’ve not only changed format but added content based on them (for example, why the flags are flown at half-staff. This entry was posted in Bedford Corners NY and tagged Bedford Corners NY Homes, Bedford Corners NY Real Estate, Bedford Town news on March 14, 2019 by Robert Paul. Oregon Governor Kate Brown yesterday signed into law a statewide cap on rent increases—the first statewide policy of this kind. The economic rationale is to lessen financial strain on renters, given that housing costs have risen faster than incomes. In many large cities along East and West Coasts, even middle-income families are stretching to pay for good quality housing in desirable neighborhoods. The political motivation behind Oregon’s new law is also clear: Unhappy rentershave emerged as a more vocal constituency across the country, and policymakers in both parties, from Boston to Minneapolis to San Diego, are taking notice. But Oregon’s new law will not fix the underlying problem of high housing costs, and it could even make matters worse for vulnerable families. THE U.S. HAS TWO HOUSING AFFORDABILITY PROBLEMS. RENT CONTROL WON’T FIX EITHER OF THEM. The first affordability problem is that the nation’s poorest 20 percent have too little income to afford minimum quality housing without receiving subsidies. That’s not a failure of housing markets, but a function of the low wages and unstable incomes generated by labor markets. Poor families could be helped by expanding existing programs such as housing vouchers or the Earned Income Tax Credit (EITC) to cover more poor households. But to fund those programs, middle- and higher-income households would have to pay more in taxes—which state and federal lawmakers have been reluctant to propose. The second, more challenging affordability problem is that over the past 40 years, the U.S. hasn’t built enough housing in the locations where people most want to live. Metropolitan areas with strong labor markets and high levels of amenities—including Portland, Ore., Seattle, Wash., most of coastal California, and the Northeast corridor from Washington, D.C. to Boston, Mass.—have underbuilt housing relative to demand. The same pattern is true for neighborhoods within cities. Affluent residential areas with good public schools, access to jobs and transportation, have effectively shut down new development of anything other than expensive single family homes on large lots. The only effective long-term fix to the housing scarcity challenge is to build more housing—especially building less expensive housing in cities and neighborhoods where demand is high. This would require substantial changes to local zoning in nearly every U.S. city. But homeowners are a powerful lobby at every level of government, and only a few bold electedofficials have dared to challenge the NIMBYs. EVEN WELL-DESIGNED RENT CONTROL POLICIES CAN REDUCE HOUSING SUPPLY, HARMING VULNERABLE FAMILIES. The Oregon law tries to foresee and forestall some ways in which rent control can push landlords and developers into harmful responses. For instance, when landlords cannot raise rents, they often choose to not provide adequate maintenance. The Oregon law allows relatively generous annual rent increases of 7 percent plus inflation to avoid this problem. Although the bill is thoughtfully designed, any such regulations create incentives for developers and landlords to seek out loopholes. Past research shows that property owners in rent controlled cities are more likely to convert apartment buildings into condominiums. A developer considering building an eight-unit apartment building might revise their plans to build only five apartments, just under the cap set by Oregon’s law—thus contributing less new housing overall. Landlords may pre-emptively raise the rent more as they approach the 15 year mark when controls kick in. Even the increased tenant protections could backfire, encouraging landlords to screen out less desirable tenants—including many low-income families with young children. FIXING HOUSING AFFORDABILITY WILL REQUIRE COURAGE FROM POLITICIANS, AND SOME SACRIFICES FROM AFFLUENT VOTERS. Rent control is similar to another popular housing policy, inclusionary zoning, in that it tries to push the onus for improving housing affordability onto for-profit developers and landlords. Self-identified progressive homeowners may be willing to support politicians who advocate these policies. But neither rent control nor inclusionary zoning address the underlying causes of housing affordability, and indeed have the potential to discourage new supply and make the problem worse. Politicians need to be honest with their constituents about the cost of better policies as well as the costs of failing to act. Affluent households should pay more taxes to support poor families, and should allow new apartments in their own backyards. This entry was posted in Chappaqua and tagged Chappaqua NY Real Estate, Chappaqua Real Estate, Rent control on March 12, 2019 by Robert Paul. National foreclosure rates continued their recovery in 2018 from their peak during the Great Recession. Foreclosure filings were reported on one out of every 215 homes last year. That’s down markedly compared with the filings on roughly one in 47 homes in 2010. Last year’s rate is the lowest since at least 2005. The 2018 U.S. Foreclosure Market Reportshows the national foreclosure rate has been falling steadily for the last eight years, reaching a 13-year-low of 0.47 percent in 2018. However, the foreclosure picture can look different at the state level. Almost a third of states saw the number of foreclosure filings — default notices, scheduled auctions and bank repossessions — against homes climb last year, according to the report from ATTOM Data Solutions. “Plummeting foreclosure completions combined with consistently falling foreclosure timelines in 2018 provide evidence that most of the distress from the last housing crisis has now been cleaned up,” says Todd Teta, chief product officer for ATTOM. But some evidence of distress was gradually returning to the housing market in 2018, Teta says. The states with the highest foreclosure rates were clustered in mostly in the Northeast. New Jersey has had the highest rate since 2015 and had 1.33 percent of housing units with foreclosure filings last year. Delaware had 0.96 percent; Maryland 0.86 percent; Illinois 0.74 percent and Connecticut 0.72 percent. North Dakota was among the places where foreclosure rates increased from 2017 to 2018. But the Roughrider State’s real estate economy remains strong comparatively. North Dakota had the lowest rate of housing units with foreclosure filings last year (0.06 percent). South Dakota had 0.07 percent; Montana 0.11 percent and West Virginia 0.12. Alaska’s economy has been struggling in recent years after oil prices dipped in 2014, but the state’s real estate market has proved fairly resilient, according to Terry Fields, assistant professor at the College of Business and Public Policy within the University of Alaska Anchorage. The data from ATTOM shows homeowners in The Last Frontier may be starting to feel the pressure. A total of 1,145 properties were in the process of foreclosure in 2018 — up from 614 in 2017. The foreclosure rate in Alaska grew the fastest of all 50 states, rising from 0.20 percent in 2017 to 0.37 percent last year, according to ATTOM. While local economists are keeping an eye on Alaska’s real estate market, foreclosures are still significantly below the levels they were during the Great Recession and previous bust periods in Alaska, Fields says. This entry was posted in Armonk and tagged Armonk Luxury Homes for Sale, Armonk NY Homes for Sale, Foreclosures on March 10, 2019 by Robert Paul.